If we have learned anything about the automotive industry in the past few years, it is to expect the unexpected. At the start of last year no one could have predicted that Volkswagen Group would spend the final months of 2015 fighting to regain its credibility after cheating on emissions tests. What will be the big surprises of 2016? Here are few crazy things that just might happen. 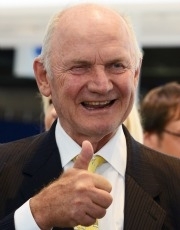 Ferdinand Piech regains supreme control of Europe’s largest automaker, returning to his post as Volkswagen Group supervisory board chairman. 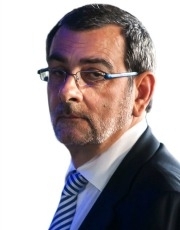 The man who oversaw the massive diversification of VW Group, which today sells everything from Bugatti supercars, to Skoda budget cars, to Scania heavy trucks to Ducati motorcycles, proves to be a stabilizing force as the company corrects the problems caused by its emissions scandal. Piech resigned last April after losing a boardroom battle with then VW CEO Martin Winterkorn, whom Piech reportedly wanted replaced by then Porsche CEO Matthias Mueller. Piech got his wish in October when Mueller succeeded Winterkorn after he resigned due to the emissions debacle. The unexpected return of the legendary Austrian engineer, who turns 79 in April, also reassures his fans that Piech may loss the occasional battle, but he never loses a war. The revelation in late 2015 that VW’s emission problems in Europe were far less severe than originally expected gives the automaker a big public relations boost. It uses that momentum, combined with its continued charm offensive in the U.S., to spark sales. VW Group will finish 2016 as the world’s largest automaker by sales for the first time in its history, achieving a goal that Winterkorn created and doing so two years ahead of schedule. Ferdinand Piech will make his triumphant return to VW Group, reclaiming his role as chairman after being forced to resign in April 2015. He will oversee the automaker's rise to No. 1 in global sales. This month Ferrari will be completely spun off from Fiat Chrysler Automobiles, and it is quite possible that the money-making supercar brand soon will be worth more than its gigantic former parent. After an all-but-stellar initial public offering in New York last month, Ferrari’s shares were trading at about 10 percent below its $52 IPO price, resulting in a market capitalization of about $9 billion. At the same time FCA’s market cap was about $17.8 billion, but this figure included 80 percent of Ferrari’s shares, a stake that the market values at $7.2 billion. When all the transactions are completed FCA, on paper, will remain bigger than Ferrari, but if the market starts to reward Ferrari’s strong cash generation and punish FCA for its decade of cash burning then their values will be flip-flopped. Consumers start to fall out of love with crossovers and SUVs when they suddenly discover they have purchased a high-riding, front-wheel car that cannot go off road and offers less space at a higher price than a minivan. This realization provides a boost to PSA/Peugeot-Citroen and Opel/Vauxhall, whose co-developed minivans arrive at the height of the segment’s revival. SUVs and crossovers take a second hit when a separate wave of car buyers grows weary of the sitting high because they don’t like having to sacrifice on road handling and they don’t like the extra wind resistance, which increases fuel consumption. They also miss having ample space for all their stuff. The answer to their problems: station wagons. This ends up being good news for Asian brands such as Toyota and Honda, which are entering the segment. The rush to make cars more connected and more capable of driving themselves convinces tech giant and automotive upstart Google to create a new unit called PRC Technology. The P-R-C is an acronym for Properly Reinvented Car. PRC’s first product not only offers seamless connections between any car ever made and any phone ever developed, its extremely affordable price causes automakers and suppliers to stop development of their own solutions. Following this success Google announces that it wants PRC to become the world’s largest supplier to automakers by 2025. Enjoy the New Year. May all your unexpected surprises be pleasant.